If you are reading this, you either have already adapted an organic lifestyle or are considering making a switch. A healthy diet is the best way to prevent potential disease. 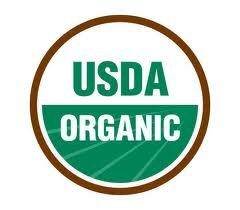 Organic produce is said to have more micro-nutrients and cancer fighting phenols than conventional produce. (Read this) Many fruits and vegetables have healing properties helping you avoid getting sick in the first place. Fruits and vegetables are the cornerstones of a healthy diet. Eating organic produce is basically eating food the way food it was grown prior to World War I and chemical industries emerging as a profit center in the 1920’s. Today, organic produce is grown the old-fashioned way – without chemicals: no pesticides, synthetic fertilizers, herbicides, or fungicides. Animals are raised without antibiotics, hormones, or other drugs. Still think you can’t afford to eat organic foods? Would you think that your body and health are precious and deserve only the best? Many fast foods are devoid of nutrients and filled with processed fillers using synthetic flavors and basically equate to ”Garbage in, garbage out”. Do you really believe that the chicken you taste in a can of chicken soup is really from chicken stock like your grandma used to make? You better believe that companies making synthetics (flavors etc. ), have it down to a science what tickles your taste buds and what not. Just because it tastes good and you crave it doesn’t mean its good for your body. Conventional farming uses more petroleum than any other industry. You can help save energy by going organic. (Just read “The Ethics of What We Eat:Why our Food Choices Matter“). You will also help keep our water clean, help protect the health of farm workers, protect wildlife habitats, and support biodiversity (see what Princeton University thinks). Organic farms are kind to the earth. Many organic farms are run by families and you can support their commitment to sustainable agriculture by buying organic. Simply put: Organic produce tastes better. When was the last time your tomatoes actually tasted like tomatoes? With better tasting produce you are most likely to eat more nutritionally dense foods. Especially if you have kids, who’s development is influenced by nutrition, they are much more likely to have a reaction to conventional produce that is laden with chemicals. If your child has any food allergies or other symptoms that children didn’t have fifty years ago, give organic food a try and see what happens. Chew on this. Dow Chemical, the same company that brought us Dursban, Napalm, and Agent Orange, is now in the food business and is pushing for an unprecedented government approval: genetically engineered (GE) versions of corn, soybeans and cotton that are designed to survive repeated dousing with 2,4-D, half of the highly toxic chemical mixture Agent Orange. 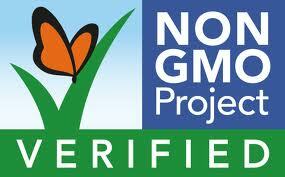 Just one of the latest chemicals potentially used on conventionally grown produce. Read more what about what you get on your table when its not organic!